Solo w/ Pat Benatar & Neil Giraldo / Sarah McLachlan. 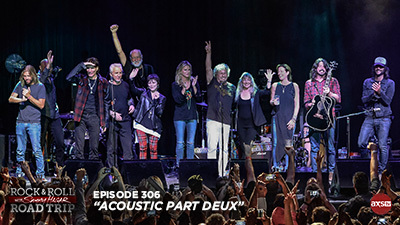 This week, Sammy heads back to the Fillmore Theatre in San Francisco, California, to feature the female artists in this Mother’s Day special of his annual Acoustic 4-A-Cure concert. Sammy features acoustic performances by Sarah McLachlan, Pat Benatar, and Neil Giraldo.